Kim’s hesitant English hurts her academics; Mary would like to volunteer but her schedule is packed and doesn’t want to drive around town. Table Wisdom brought them together for conversational English sessions. Interested in being part of a life-changing conversation? It all begins with ‘Hello.’ Table Wisdom matches native speakers of English with younger English Language Learners for mutually beneficial conversations that change lives. The program is a winner of the 2016 Washington University, St. Louis Youthbridge Social Entrepreneurship Innovation Competition. Learn about this unique new program and how you can start a conversation. FREE, walk-ins welcome. It used to be so simple, push a button or turn a knob and music would play. Now, there are apps for streaming music on cell phones, tablets, laptops and even the TV. Learn about Pandora Internet Radio, a great way to hear music tailored specifically to your taste, for free. Bring your cell phone, tablet or laptop and get setup for a whole new world of music. For time, location, fee, registration and other details, click here to download the summer 2016 schedule. Alive Inside is a joyous cinematic exploration of music’s capacity to reawaken our souls and uncover the deepest part of our humanity. 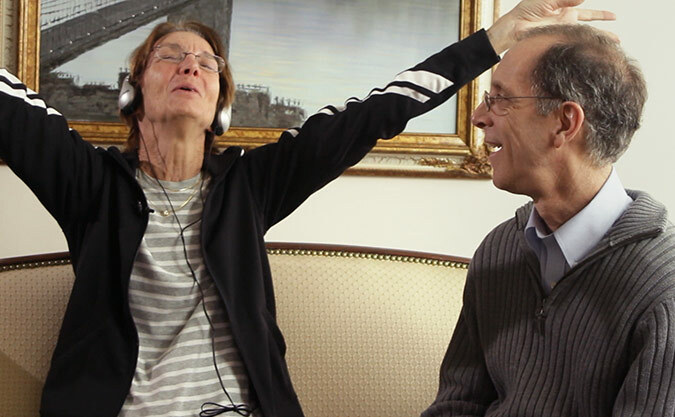 Filmmaker Michael Rossata-Bennett chronicles the astonishing experiences of individuals around the country who have been revitalized and awakened by the simple act of listening to the music of their youth. Sundance Film Festival Winner. iPhones are a very convenient tool – if you know how to use them. Bring your iPhone and learn the basics in this hands-on workshop.